Are you moving out of Sacramento? Preparing for a move can be challenging. You’re picking up your entire life – and all your belongings – and moving to a new location. Sacramento has a similar climate to the regions around the Mediterranean. It’s one of the sunniest and most beautiful parts of America in terms of weather. Unless you’re moving to Southern California or Hawaii, leaving Sacramento means giving up great weather. The place you’re moving isn’t likely to have the same hot, dry summers as Sacramento and the mild winters. If you’re moving north, you may have to invest in rain gear, winter gear, boots, and other cold weather apparel. California has some of the highest living costs in all of America. Sacramento, however, is unique: the cost of living is relatively low here. Housing costs are far, far lower than almost anywhere else in California. In Sacramento, you can get a bigger home for less money than almost anywhere else in Southern California. Other living expenses are also comparatively low. Many new residents of Sacramento are pleasantly surprised when they receive their electricity bill every month. The electrical rates in Sacramento are lower than most other parts of California. If you’re moving elsewhere in California, then you may face significantly higher costs of living. However, if you’re moving out of state, then you may enjoy cheaper living costs (and less taxes) wherever you go. Ultimately, the low cost of living is one of the major bonuses of living in Sacramento. Make sure you’re prepared for that change before you leave – you might be surprised how much houses cost in other parts of California. Sacramento has consistently outperformed the rest of the United States when it comes to employment opportunities. The region has an unemployment rate of around 6%, which is lower than the national average. Major employers in Sacramento include tech companies, financial services, universities, local school districts, and aerospace companies like Aerojet Rocketdyne and Gen Corp Inc. Many Sacramento residents find that their technical experience transfers well to high-tech hubs like the Bay Area. Most people have already considered employment opportunities long before they moved. Nevertheless, it’s one of the most important things to consider before packing up your family to move away from Sacramento. California State University is Sacramento’s major educational institution. However, many people leave Sacramento to pursue educational opportunities in other parts of California. Our state is blessed with some of the nation’s greatest universities. Whether you’re seeking educational opportunities for yourself or future educational opportunities for your family, many people leave Sacramento to pursue higher education. The final important thing to consider when leaving Sacramento is the actual cost of moving. Is the timing right? Are you selling your Sacramento house at the right time? Is it a good time to pull the kids out of school? Can your work transfer you? Or are you going to have to find a new job? Then we have the financial costs of moving. Do we need to rent a truck? Pay for professional movers? Buy new furniture? Sell old stuff? Buy boxes? If you’re trying to understand the costs of moving, then a free moving quote form Fuller Moving Services can give you a concrete estimate. Receive a Free Moving Quote Today! If you are moving out of Sacramento, then why not trust Sacramento moving company Fuller Moving Services? 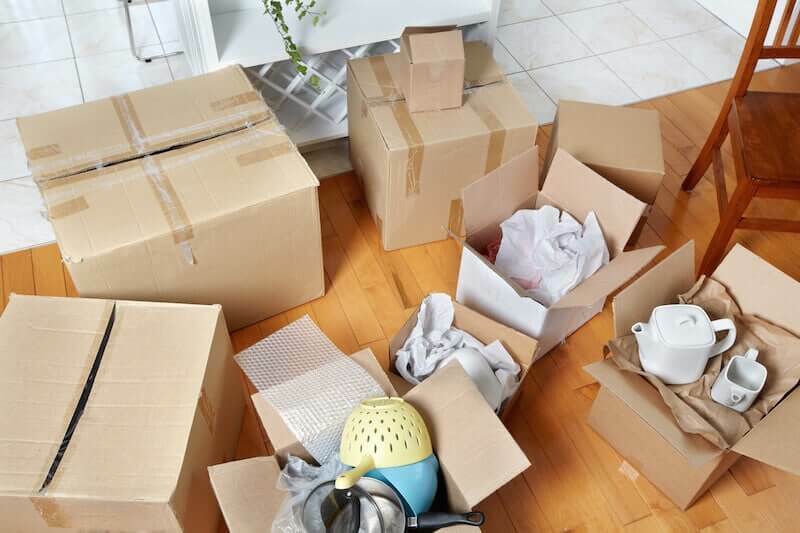 With lower overhead costs than larger, nationwide competitors, Fuller Moving Services takes pride in getting your stuff where it needs to go as safely as possible while providing honest, transparent rates.